Recently I came across a really cool site called Influenster that gives you free products to try out. Now, this is a bit different from most of the sites I review, because it really isn’t making money online, but it is a site that pays you in free stuff if you’re lucky enough to get chosen. You’re probably wondering, Is Influenster legit? Although there are some Influenster complaints I think it’s a completely legit website that will give you some free stuff for your time. Receiving free stuff is great, but you won’t be receiving free things all the time with Influenster. With My #1 Recommendation I receive free things all the time and I made over $13,000 online last month with this method! Let’s go ahead and jump into this Influenster Review and take a look at how it works and how you can get free stuff every month. I marked Influenster legit and gave it a pretty high score. It’s a pretty cool site that can give you free stuff each month. I know it’s a bit different because you’re not actually getting paid cash, but you do get to keep the stuff they send you and all you have to do is some social sharing. In my opinion, if you’re looking to get some free stuff Influenster is a cool, easy to use site that can help you test products! Influenster is a really easy site to navigate. Basically what you need to do is Join Influenster here, fill out your profile, and in your spare time answer questions and write reviews of products. Every month Influenster sends out what they call a “VoxBox” this is the free products that they would like you to test. You get to keep all the products they send you and all they ask for in return is you give your honest opinion about the product and share it on your social media accounts and blog if you have one. They do also offer some other ways to earn, but I will cover that in more detail below. An Influenster VoxBox is a box full of products that Influenster sends out monthly to some lucky members. Not everyone will receive products, but the more active you’re in the community the higher chance you have of receiving the products. From what I’ve heard they don’t send you trial size products, they actually send out full-size products for you to try and review. 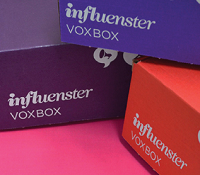 After you’ve received your VoxBox, Influenster will give you a few short tasks to complete. Usually, it’s writing a short review about the product or answering a few questions that they provide. It usually only takes a few minutes of your time and you got some great free stuff. Influenster does offer an additional way to earn. It’s called Campaigns. Once you become a member you will have questions that you can answer at any time called Snaps. As you answer these questions you will unlock different Campaigns that you can complete. For example, I unlocked an eBay campaign that required me to write two short tutorials on how to use a few portions of the eBay site. 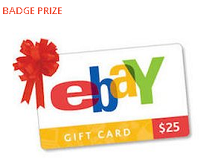 When I completed this campaign I was given a $25 eBay gift card for my time! I’ve seen a few more campaigns become available and they are all pretty easy to complete and you either get a gift card or a free product for completing them! In the last section, I mentioned that they have questions called snaps that unlock extra campaigns, well answering these snaps also gives you points to unlock badges. Badges are a way to tell how much you know about a certain type of products. Some examples are Fitness, Beauty, Cooking, etc. To unlock badges you can answer snaps in that category, share product reviews, and write product reviews in that category. When you unlock badges you’re considered an expert in that category and have a better chance of receiving products and campaigns in that category! I mean everyone loves free stuff! You can’t really complain about a site that is going to send you free full-size products to try out for a few minutes of your time to review them afterwards. No, you’re not going to earn any cash, but I think it’s worth it. I liked that they offered campaigns for an additional way to earn some income. From what I’ve seen they usually pay with $25 gift cards and take anywhere from 10-30 minutes to complete. Although you won’t be getting paid cash, gift cards are a great way to save some money on your normal purchases. One thing that some might over look is Influenster is full of great product reviews and information about products. I know most people use Amazon or other sites to find out about products before purchasing and Influenster has great reviews of almost all products even if they have not been tried out for free in a VoxBox. Influenster can give you some additional information about products you want to purchase. As always I wouldn’t be doing my job if I didn’t also cover some Influenster Complaints. No site or product is perfect, but there aren’t too many problems I see with this site. This really isn’t a big complaint, but compared to the companies I usually review it is. You’re not going to be getting paid cash with this site. If you’re looking to make money online you should check out these sites. As long as you know that you will be getting paid by free products instead of cash and that completing campaigns can earn you some additional money (gift cards usually), you should be pretty happy with this site. The only real complaint with Influenster is not everyone will receive products (VoxBox) each month or ever. Personally, I’ve used this site for 3 months and received one VoxBox, but I’ve also been pretty active in the community. If you do decide to join Influenster I recommend completing your profile correctly and fully, working hard to earn a few badges, and being active by writing reviews and sharing products on social media. If you show them your working they will reward you with free products to review! So Is Influenster A Scam? Influenster is 100% not a scam, it’s a completely legit site that will give you free products in exchange for a review and social share. There really isn’t any Influenster Complaints that makes this site a no join. I think as long as you’re okay with not getting paid cash and being able to keep the full-size products they send you, then you will be very happy with this site. If you would like to learn more or to join visit Influenster.com. For more information and ways to get free products to keep, check out this product testing e-book! 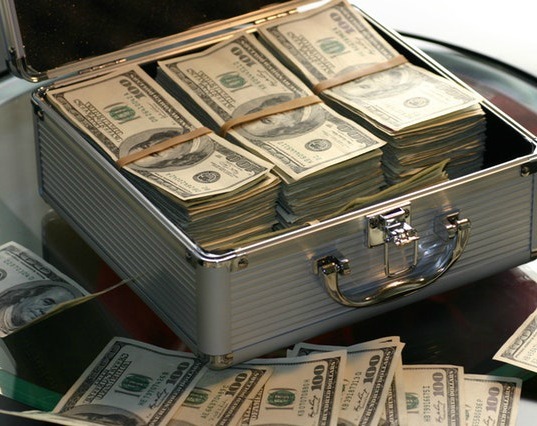 For you not looking to get paid with products, but with cold hard cash check out all the sites I have on All Scam Free Jobs. If you’re wondering how I work from home and make a full-time income with this site check out Build Your Own Online Business, a few months ago I made over $13,000 online! Before I go thank you for reading this post on is Influenster Legit. Have you joined this site? Had experiences, or know of other good sites? I’d love to hear your thoughts and stories in the comments section below!